Lumbering scene in British Columbia, Canada. The Forest History Society's Alvin J. Huss Archives maintains a rich collection of over 30,000 photos, slides, negatives, plates, and films documenting the history of human interaction with the environment. Indexed by subject, the main collection covers a wide array of topics while focusing on the history of forests, the forest products industry, the U.S. Forest Service, and lumbering and sawmilling practices. The majority of the collection consists of black-and-white prints taken in the United States from the 1920s to the 1960s. 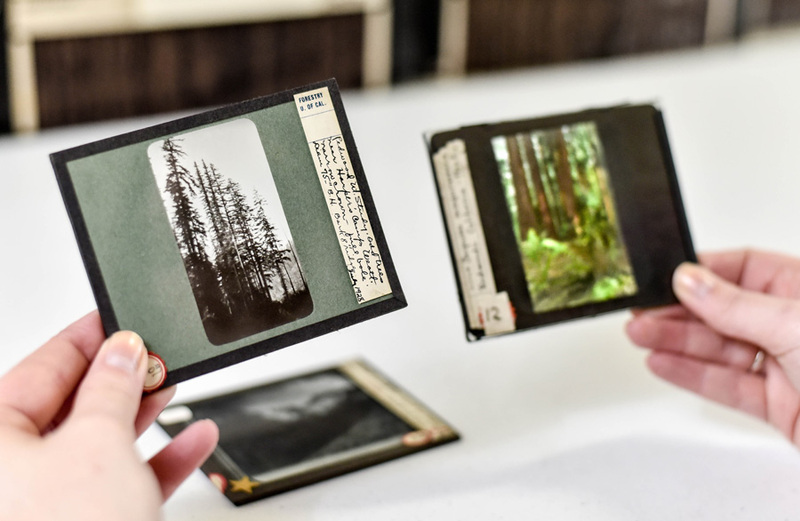 Several auxiliary image collections created by companies or individuals are also available for study at the Forest History Society. Examples include photograph albums compiled by forestry school students on field trips; collections amassed by foresters or forest products companies in the course of conducting everyday operations; and images used in the publication of forest industry magazines. Examples include collections such as Champion International Corporation, Puget Sound Pulp and Timber Company, Robert P. Conklin, and the Red River Lumber Company. 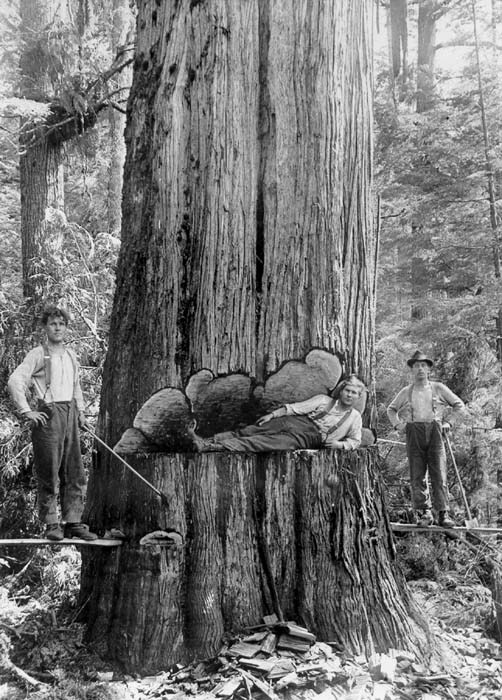 A Guide to the Forest History Society Photograph Collection [PDF] lists the various subject headings under which photographs are filed in our collection. Authorized use of images from the FHS collections is allowed for most non-commercial uses; however, permission from the Society is required prior to publication or display. Photographic use fees may apply. Ranger on trail, Sierra National Forest, 1963. Log drive on Clearwater River, Idaho, 1961. Camping on Manzano National Forest, New Mexico, 1924. FHS staff continues to work on the digitization of the photograph collection. Scanned images from the collection are accessible and fully searchable through the FHS Image Database. Images displayed in the database are low-resolution copies provided for academic research purposes only. Higher-resolution electronic scans for publication may be ordered. Our Photographic Services Fee Schedule describes research and duplication fees. You may also view a number of photo galleries containing images from the database that represent selected subject areas in our photograph collection. A small portion of our collection is also highlighted on Flickr. Permission from the Forest History Society is required for any use of images. You may also submit a photo request form.